Water flossers are easier on your teeth and gums than traditional floss, giving you all the benefits of flossing without any of the discomfort. 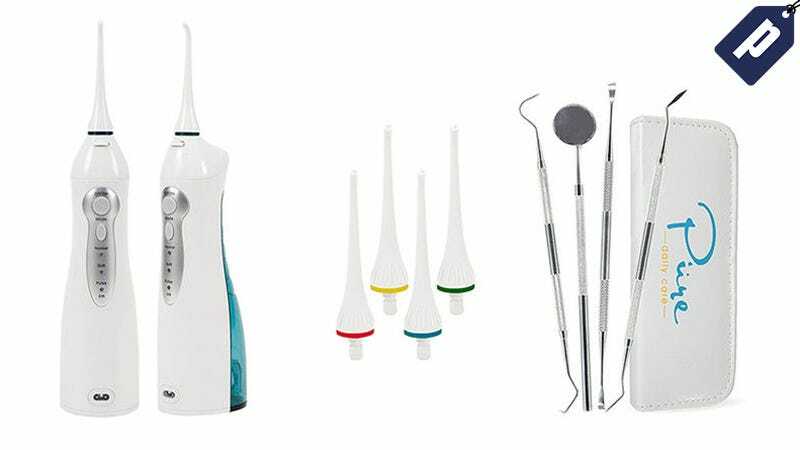 The Aqua Water Flosser Kit includes a four-piece dental set and four color coded tips, and you can pick one up today for $34, over 75% off the original price. This water flosser will cut your flossing time in half, and even save you some cash on replacement flossers and threaders. Plus, up to four people can share one flosser by changing out the color coded tips between uses. This complete set retails for $150, but you can grab it today for just $34.